Anthem to Z..., uh, Wolf Among Us 2. These are the new PC games we're looking forward to most in 2018. Say what you will about 2017, it was one hell of a year for video games. PCWorld's annual Game of the Year awards and the accompanying list of the best PC games you might have missed were packed to the rafters this time, and there were even more superb games waiting in the wings. The most anticipated PC games of 2018 have a lot to live up to. But you know what? They just might. There are already quite a few cool games on the horizon, be they games that meant to release in 2018 or games that slipped out of 2017 by accident. Monster Hunter finally comes to PC, Far Cry 5 finally goes to Montana, and Star Citizen—ha, just kidding. Star Citizen isn't releasing in 2018. Probably. Below you'll find the titles we're most looking forward to though, with dates for those that have solid release dates planned, "release windows" for a few others, and hopes and dreams for the rest. 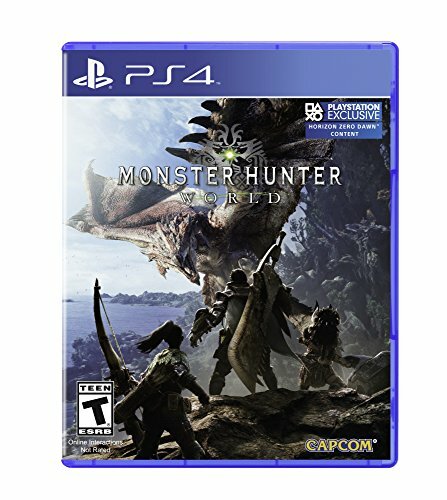 I’m listing this under its console release date, but it’s a bit misleading—Monster Hunter: World is coming to PC, but nobody’s said when yet. The console versions launch on January 26 with the PC release to follow. Fingers crossed it doesn’t take long though, because Monster Hunter: World looks like it might be a breakout hit. It’s the first mainline Monster Hunter to come to non-Nintendo platforms in over a decade, and it looks stunning. Capcom recently ran a beta on PS4, and my favorite part: Someone was fighting a dragon in a pool and the dragon slammed into a nearby stone wall, which collapsed and sent a wave of water rushing out, sweeping both dragon and player over a cliff. It’s the sort of easily shared and digestible moment that might convince people to check out and maybe stick with a series known for its high difficulty and impenetrable UI, because the rewards can be worth it. There’s a chance you’ve already played BattleTech. The backer beta for Harebrained’s turn-based mech game went out last summer, and included a decent slice of the multiplayer side. Singleplayer is what I’m most anticipating though, and it’s what we’re waiting on in the full release. In BattleTech you run a mercenary company, contract killers looking for the highest bidder. Like XCOM there’s an element of persistence to grapple with—a destroyed mech is destroyed forever, a dead pilot is dead no matter how veteran he or she might be. But what makes BattleTech interesting to me is the risk/reward proposition. You can negotiate for better pay up front, or decide a mission’s not worth it halfway through and jet out of there. It’s an interesting twist, and I’m curious to see how the experience holds up when there’s a whole galaxy to explore. 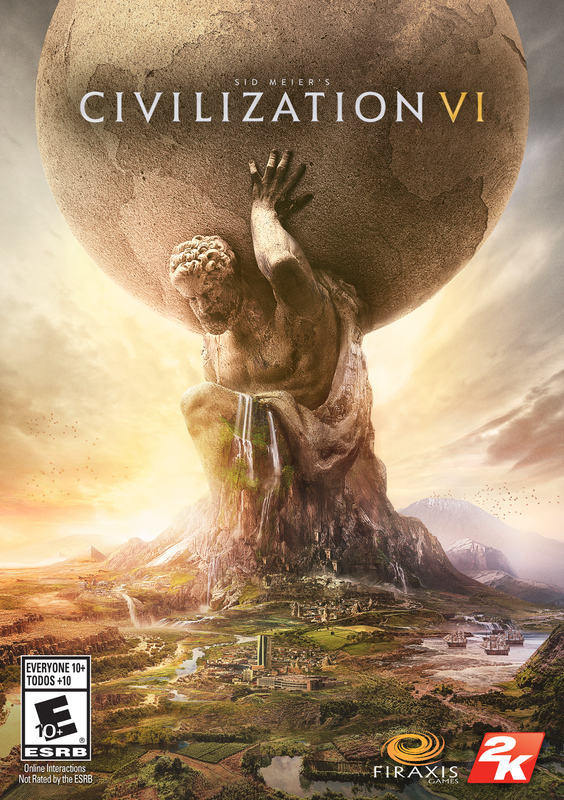 When no Civilization VI expansion materialized this past fall I was admittedly confused--for the past few years it felt like you could set your watch by Firaxis, they were so consistent at hitting that October slot. It's only four months "late" though, with the Rise and Fall expansion due to arrive in February instead. It’s an interesting expansion, too. Since Firaxis didn’t really hold back any old systems to “add back in” to Civilization VI, Rise and Fall’s challenge is to add something entirely new: Golden Ages and Dark Ages. Your Civilization can fall into either each era, resulting in bonuses or penalties to City Loyalty and other stats. And while a Dark Age might be a temporary setback, emerging from one can trigger a “Heroic Age,” an era where all bonuses are tripled. An interesting twist on Civilization’s tried-and-true progression. The elevator pitch for Kingdom Come: Deliverance is easy: It’s like an Elder Scrolls game, but set in a recreation of the Holy Roman Empire circa 1400, complete with period-accurate combat, a story about the political workings of the royal court, and a realistic approach to food/sleep/equipment durability/medicine. Either that sounds great to you, or your eyes glazed over while reading. Personally I’m looking forward to it, though the verdict’s out whether a small team can overcome the performance issues and bugginess that generally go hand-in-hand with Bethesda-style games. It was my most anticipated game coming out of E3 2016. 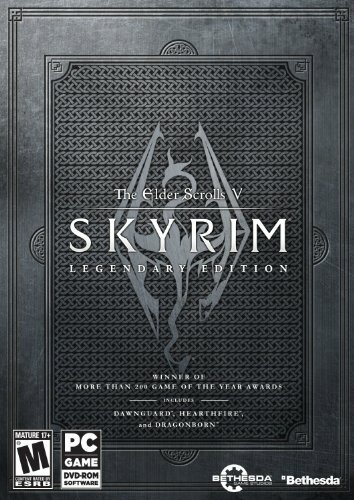 It remained my most anticipated game coming out of E3 2017. And now as we head into 2018? It’s still my most anticipated game. So after that recommendation...what is it? Well, Sea of Thieves is a pirate game as you might expect. The hook though (no pun intended) is that it’s a pseudo-MMO, meaning you’re a lone pirate in a world shared by fellow pirate-players. You can play alone, but the real draw comes from crewing up on much larger ships—at which point everyone takes on a roll. One person might occupy the crow’s nest for instance, while another steers the ship and a third fires the cannons. Maybe one person just stands on the prow drinking beer and playing accordion. 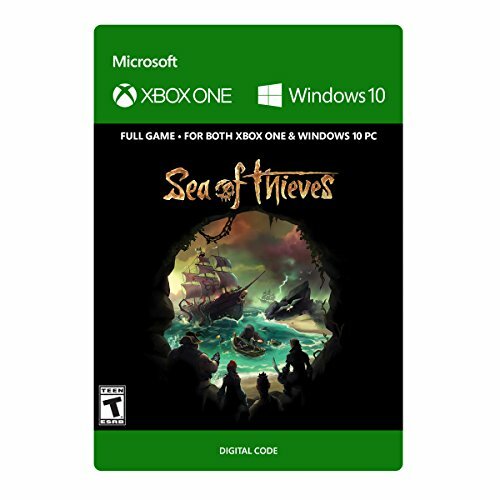 It’s up to you, and that’s what has me looking forward to Sea of Thieves even though much of the game remains shrouded in mystery. A Way Out is one of the most promising titles I played at E3 2017. 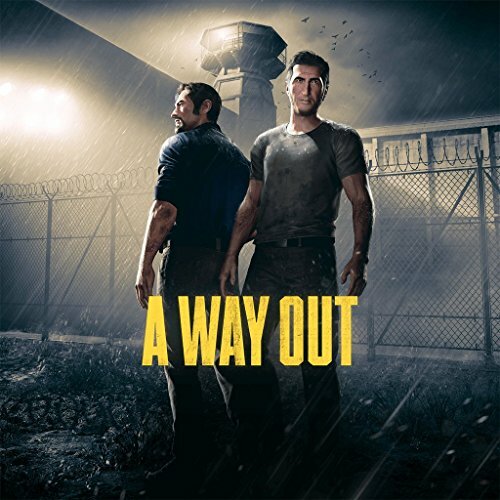 A story about two convicts who break out of prison and go on the lam, the gimmick is that A Way Out is only playable in co-op, with each player controlling one of the characters. This allows for all sorts of asymmetric storytelling—for instance, in our E3 demo we robbed a gas station. I was deep in a Telltale-style conversation with the cashier while my partner wandered around the shop setting up the actual heist. It’s a fascinating approach, and director Josef Fares (who you might remember from his legendary Oscar-bashing speech at the Game Awards) told us his goal is a game that changes mechanics every few minutes to keep the experience fresh. If it works, it could set the standard for this sort of cinematic-heavy adventure. We’ve visited tropical islands, contracted malaria in Africa, scaled the Himalayas, and now it’s time to explore a place so exotic, so truly remote, it dazzles the mind: Montana. Yes, for Far Cry 5 we’re headed to the state known for Glacier National Park, a very small part of Yellowstone, and also (mostly) because the western border looks like a face. The E3 demo I played was Far Cry through and through, first scouting and then shooting my way through an outpost. 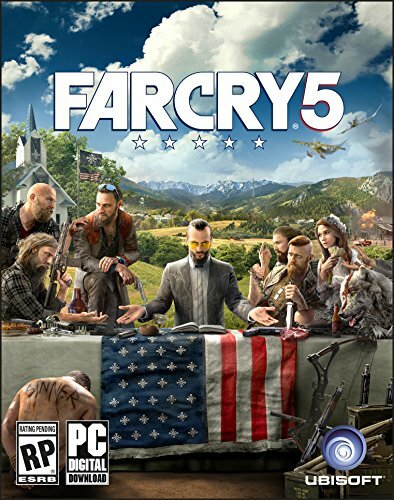 Whether Far Cry 5 does anything more interesting with its setting, or just uses it as a backdrop for “Yet Another Far Cry Game”? We’ll know in a few months, I guess. If I were to predict any game slips out of 2018 and into 2019, it’s Anthem. We’ve barely seen anything of BioWare’s Destiny-style shooter so far—just an all-too-brief E3 demo and that’s it. It’s also made by BioWare, which historically has fallen prey to delays, and I imagine that’s even more possible post-Mass Effect: Andromeda. They don’t want to screw this one up. But if Anthem does launch in 2018, well, I’m curious to see what comes of it. The game is centered around the same sort of co-op loot grind as Destiny 2, with a sci-fi universe that looks weirdly Mass Effect-like—to the point you wonder why BioWare didn’t just make this the next Mass Effect game, or at least keep the branding. In any case it’s also beautiful, with one of the most stunning Frostbite implementations I’ve seen to date. After EA’s missteps in 2017 it’s hard to get too excited, but Anthem has piqued my interest at least. Next page: New PC games we're excited about later in 2018.